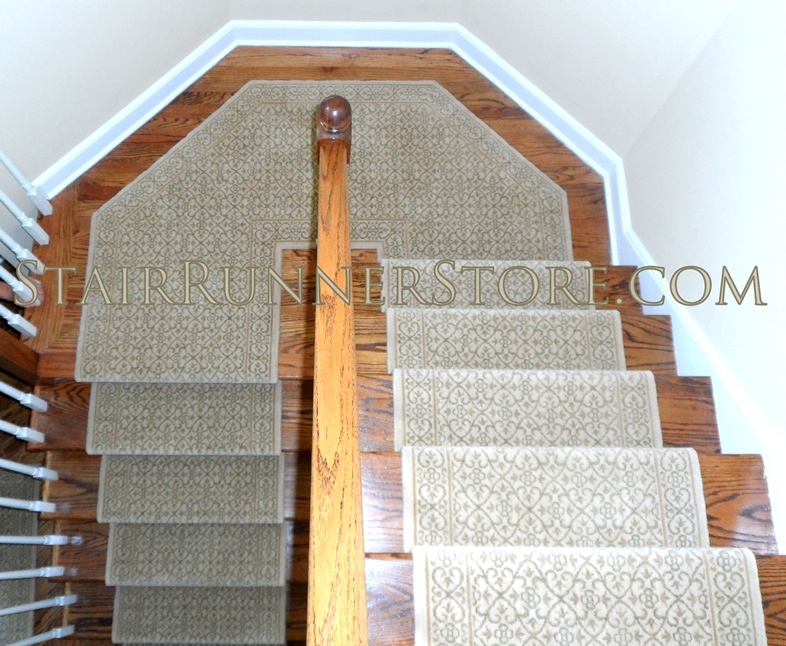 Angled Landings Stair Runner Installations: We refer to a an angled landing as a single landing that forms an angle within the staircase. 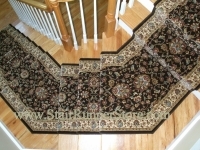 The landing generally connects two sections of standard steps. 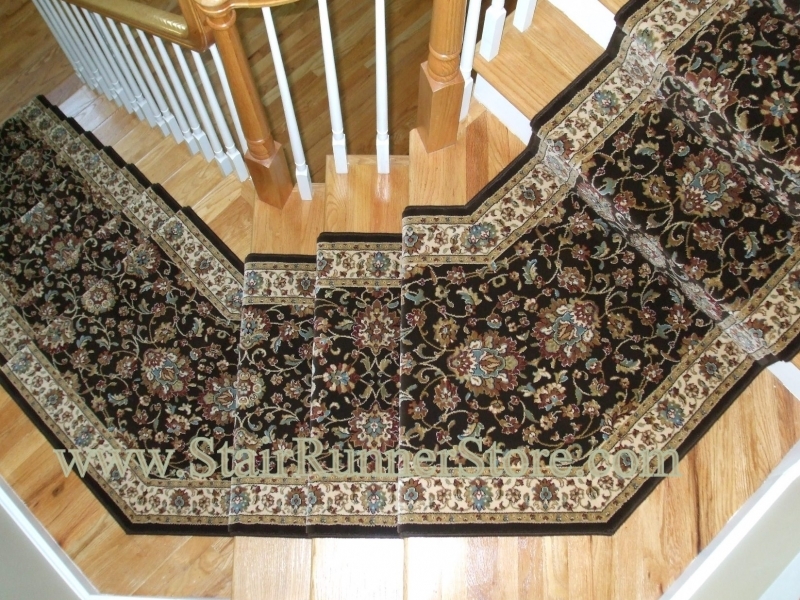 A staircase like this most often has two angled landings but there can be just one or even three. 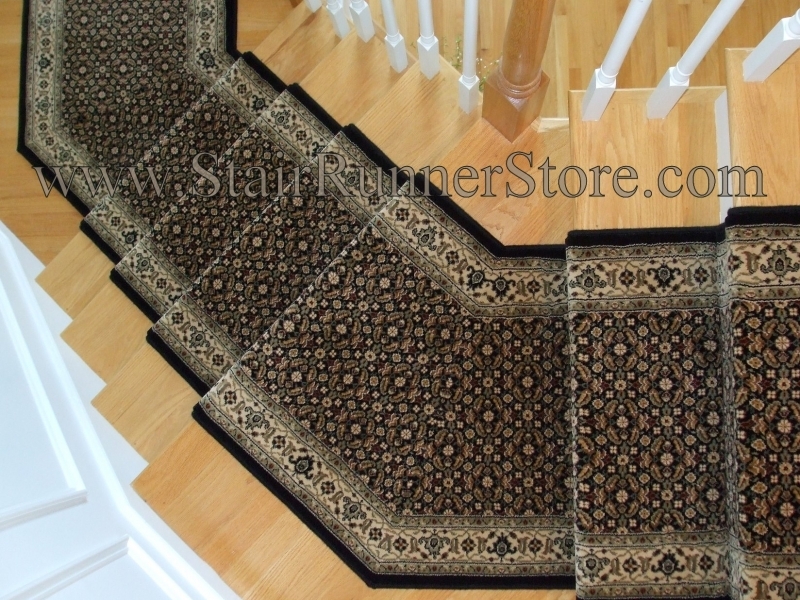 Similar angles can be found in a hall runner as well. 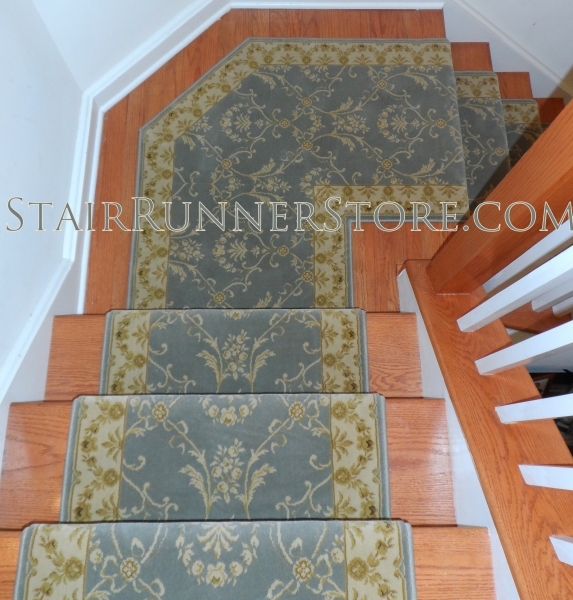 This custom stair runner category can also have an outside “clipped” corner – there is an angle on the outside perimeter of the stair landing – but a right angle on the inside corner. 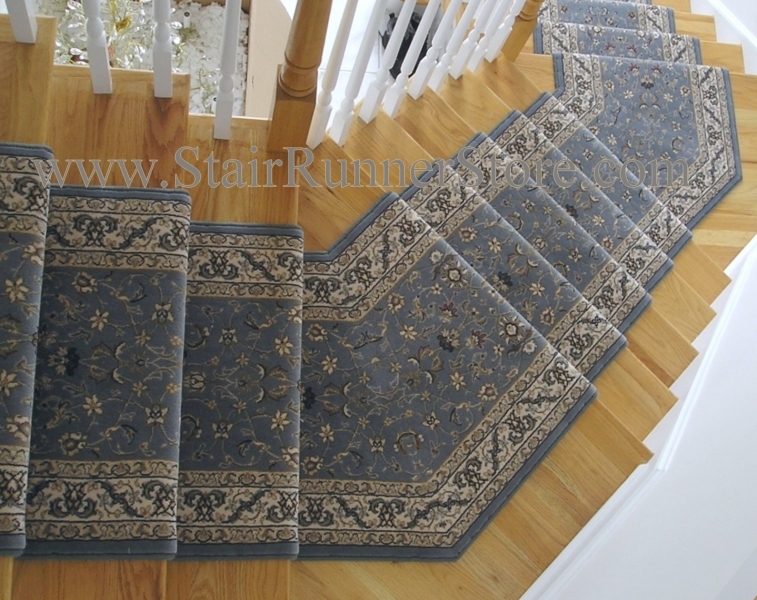 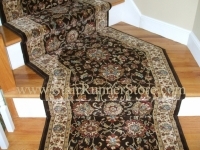 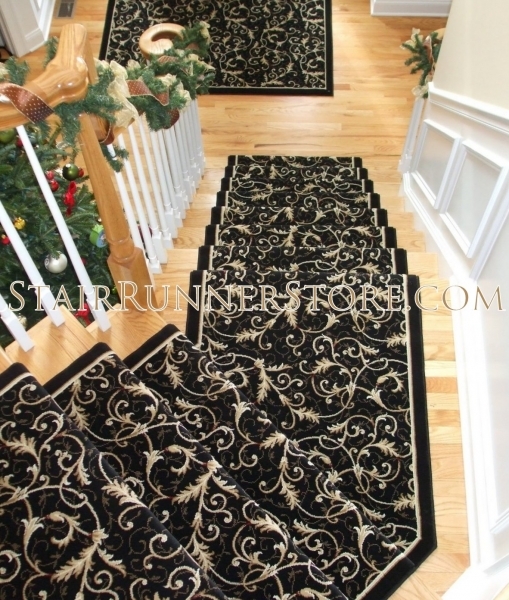 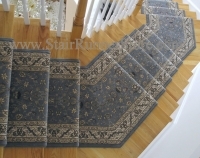 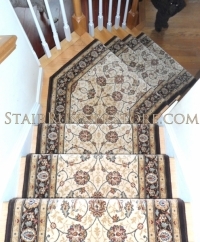 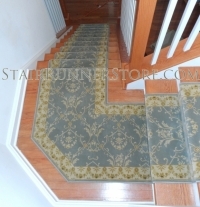 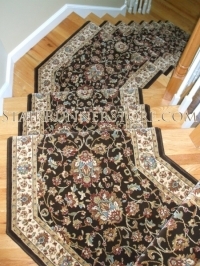 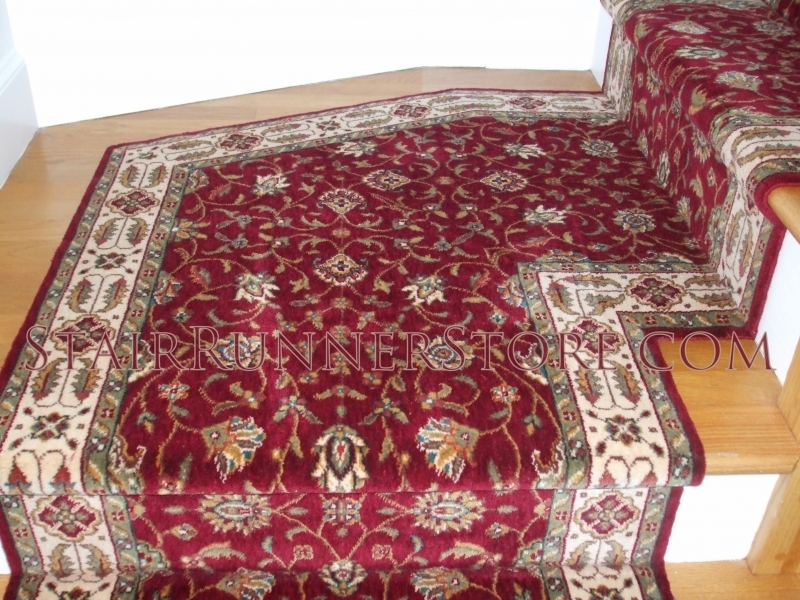 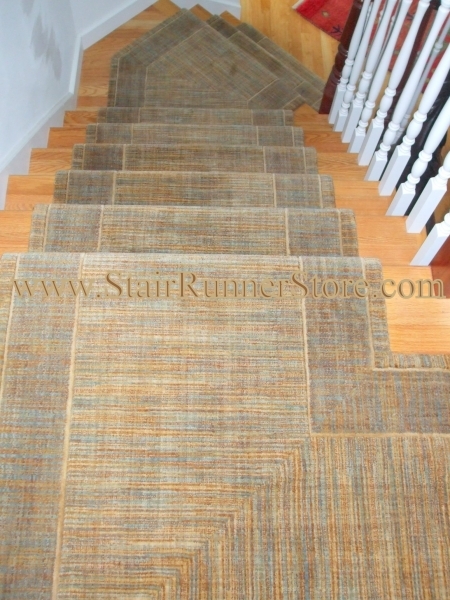 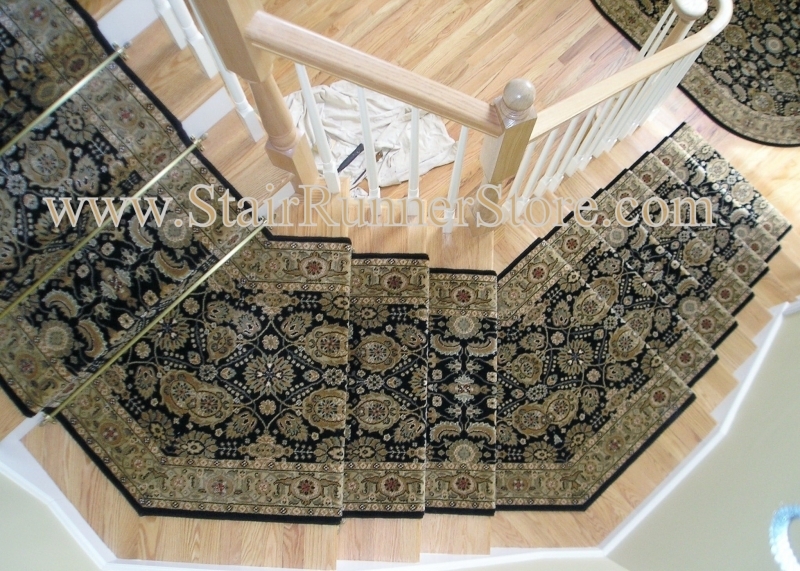 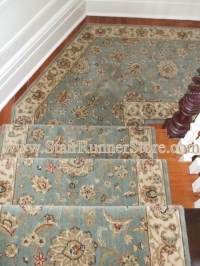 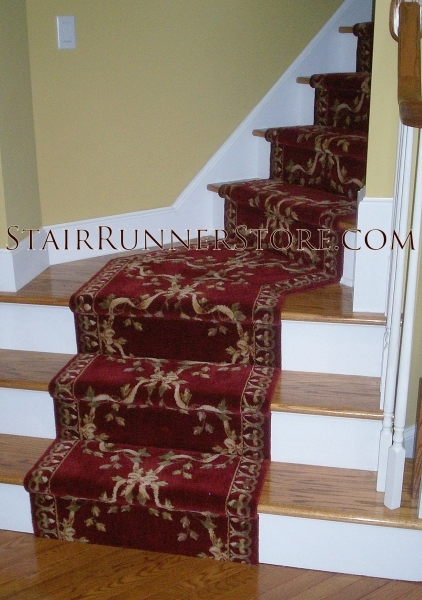 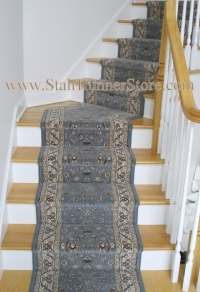 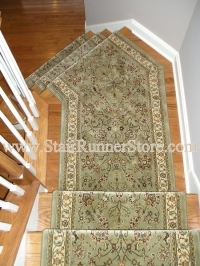 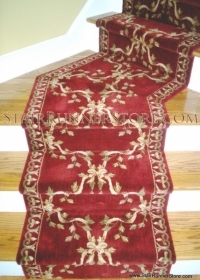 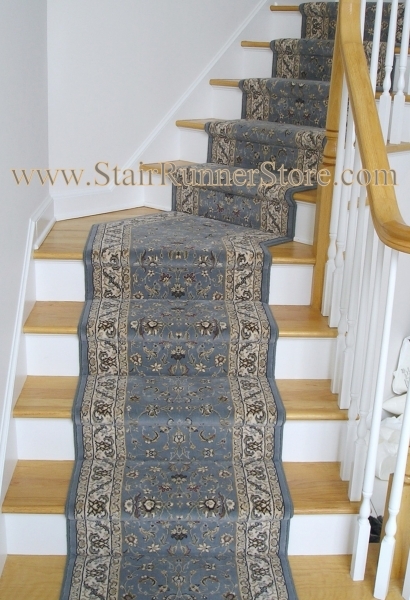 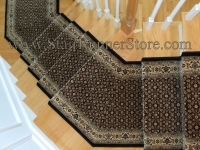 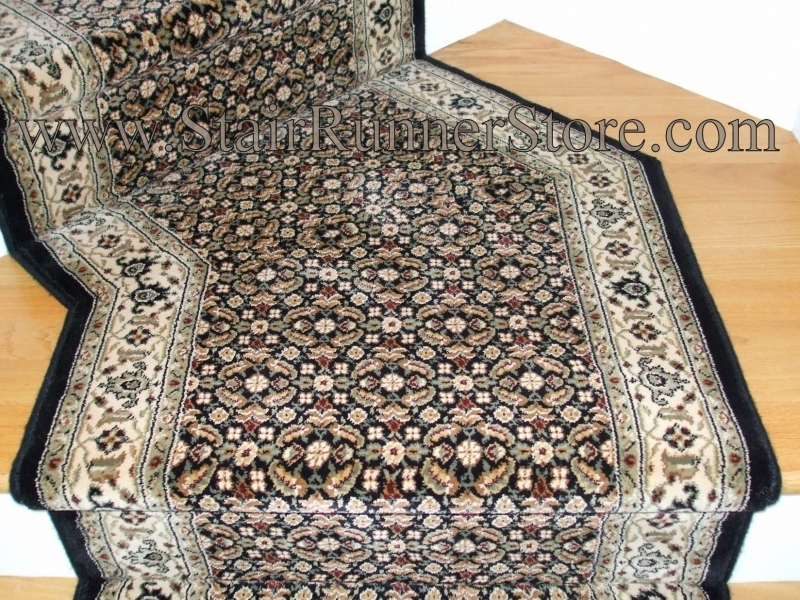 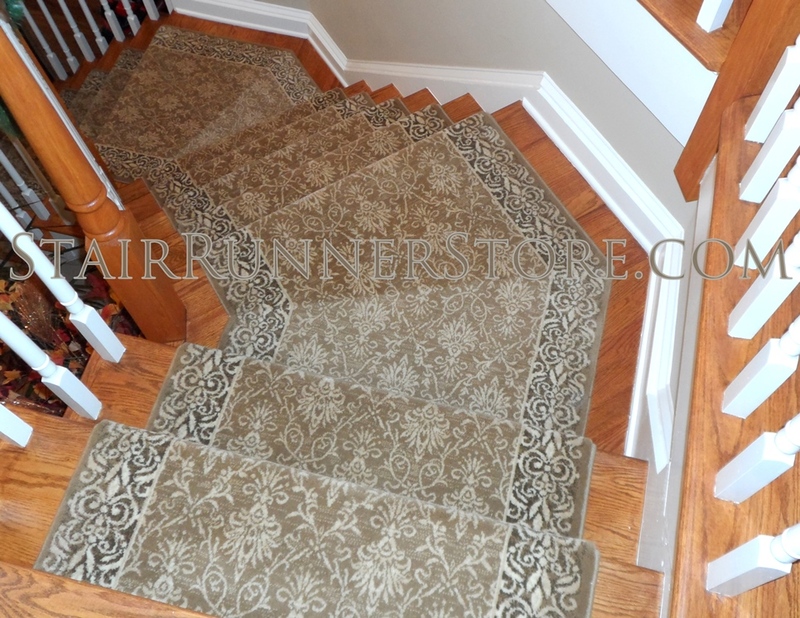 Click the images below to see a larger view of Stair Runners Installed on Angled Landings. 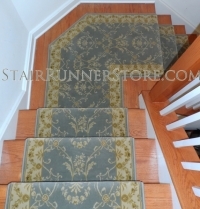 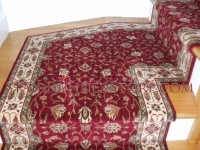 Each photo also offers a link below it that will take you to the stair runner product used. 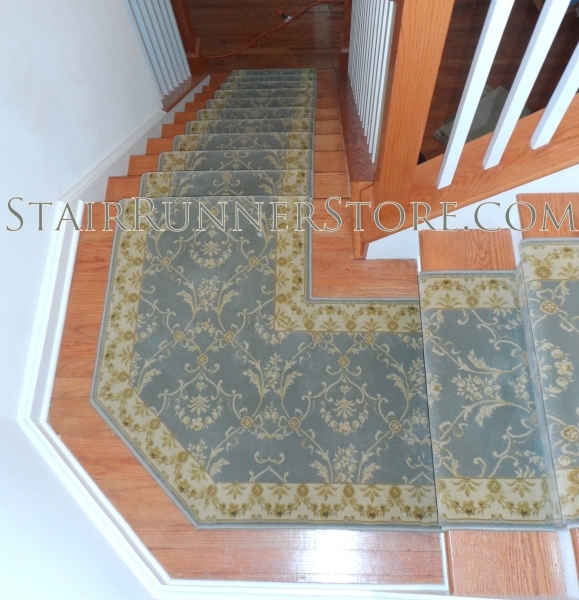 Although many of these staircases are very similar, the stair runner fabrication method we’ve used to create each landing may differ depending on the pattern in the stair runner product. The result is a continuous runner installation and a pleasing use of the pattern. 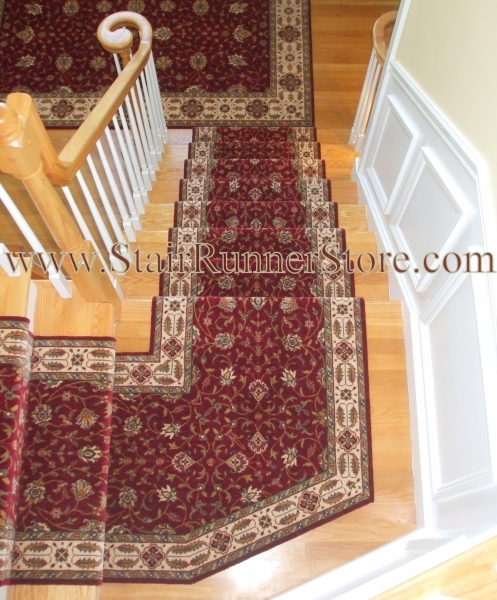 Included in this gallery are many examples of this type of staircase landing. 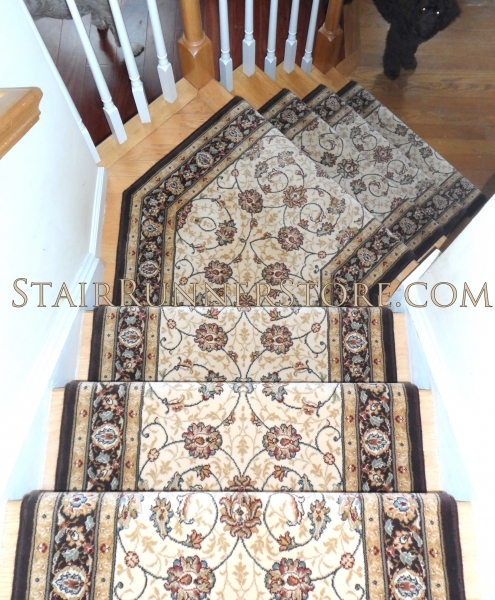 All installations we publish are real – actual installation and custom fabrication work by owner, John Hunyadi. 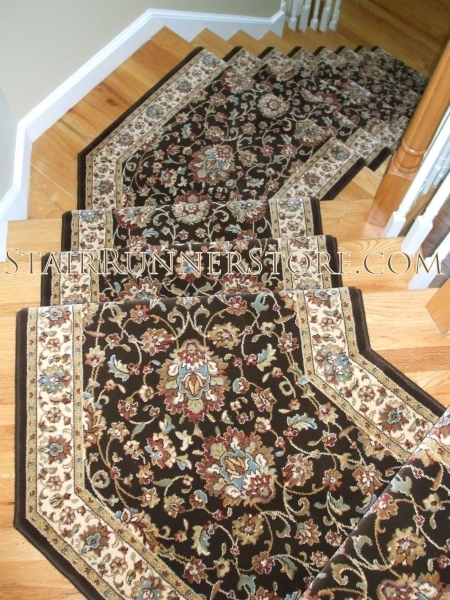 Please feel free to look closely, to appreciate John’s craftsmanship.